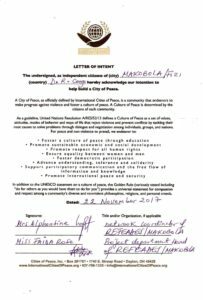 We welcome Alponsine Apendeki and her colleages of REFEADES who are working to support human rights in Makobola, a section of Fize, Democratic Republic of Congo. 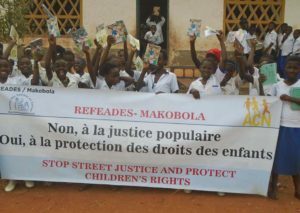 They have established Makobola: City of Peace and will continue to work hard for women and children as well as a sustainable environment. From Alphonsine: “Makobola is a place where more than 20 women and girls per day are victims of gun or sexual violence. Seeing that local administrative authorities find it difficult to get out of their shell, arrest and punish the perpetrators of those ignoble physical assaults and crimes, seeing alarming situation that widows have been living after the death of their husbands, seeing that women and girls have long been used as weapons of war in our area that is why I have taken courage to invite 2 other women and 2 girls and persuade them of the necessity to defend and promote human rights and introduce the culture of peace through an organization. 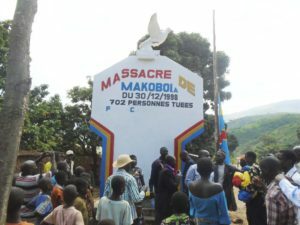 MAKOBOLA is a place where more than 700 people were burned alive during the fight between governmental forces and rebels supported by Rwandan army in December 30,1998. That is why when one reaches Makobola, they are welcomed by the memorial build for the sake of the victims. Réseau des Femmes en Action pour le Développement Social means women in action network for social development. It is found in the Makobola village, in the FIZI rural territory, in the eastern part of D.R.Congo. Due to the alarming situation of gender based violence noticed in our area that women and girls have been victims of and this for many decades and the impunity of the perpetrators and being very moved by those situations we have come together to awaken local authorities and other decision –makers to put an end to it via creating an organization. REFEADES works with women rural grassroots and prioritizes to put the beneficiaries’ needs and interests at the center of all our activities. We work hand in hand with the community leaders and local administrative authorities for the success of its project. We provide assistance to the neediest. To defend and promote human rights with a focus on women and children. To fight against sexual transmissible infections and HIV/AIDS. To empower economically inadequately served people like disabled women, widows and women victims of strong marginalization due to sexual violence through income generation activities for their self –reliance. To protect the lake and forest ecological systems for building a sustainable community free of poverty. To train community leaders on non-violent methods of Gandhi and Martin Lutherking Junior , for the promotion of peace and reconciliation. Ms. Alphonsine Apendeki has completed a 3-year degree on social work and community development and has considerable grassroots experience on working with rural women and young people. 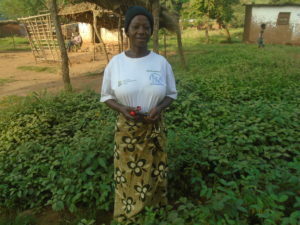 She attended different workshop training on conflict transformation in the Great Lakes region of Africa, and has been sent by the board of Directors of the REFEADES/Makobola to attend a 6-month workshop training on restoration of the lake and forest ecosystem and biodiversity conservation in Bukavu, the chief town of our South Kivu Province. 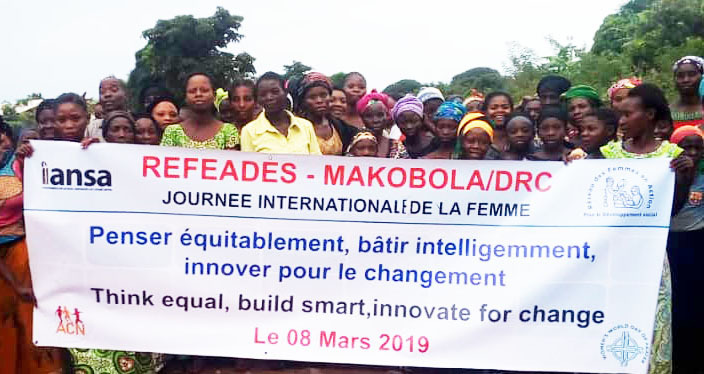 Before being hired as the network coordinator of RFEADES/MAKOBOLA, she worked as a teacher in a social technical high school for 3 years and has been hired to work as a field officer in a Trans Cultural Psychological Organization TPO/D.R.Congo. 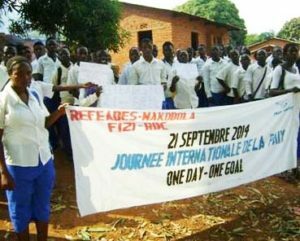 Fizi is a territory in the south of Sud-Kivu Province, Democratic Republic of the Congo, bordering the South Kivu territories of Uvira, Mwenga and Shabunda to the north, Lake Tanganyika in the east, and the provinces Katanga in the south and Maniema in the west. The predominant language in the territory is Kibembe. 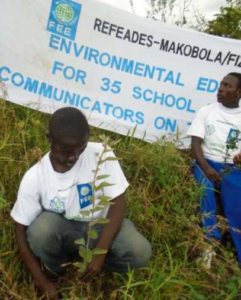 Makobola is located in the region of South Kivu. South Kivu’s capital Bukavu (Bukavu) is approximately 122 km / 76 mi away from Makobola (as the crow flies). 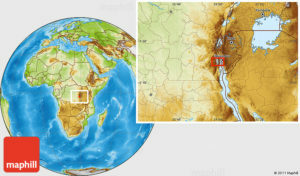 The distance from Makobola to Democratic Republic of the Congo’s capital Kinshasa (Kinshasa) is approximately 1,539 km / 956 mi (as the crow flies). The Democratic Republic of the Congo is a country located in Central Africa. The DRC borders the Central African Republic and South Sudan to the north; Uganda, Rwanda, Burundi and Tanzania to the east; Zambia to the south; Angola to the southwest; and the Republic of the Congo and the Atlantic Ocean to the west. It is the second-largest country in Africa (largest in Sub-Saharan Africa) by area and eleventh largest in the world. With a population of over 78 million, the Democratic Republic of the Congo is the most populated officially Francophone country, the fourth most-populated nation in Africa and the seventeenth most populated country in the world.